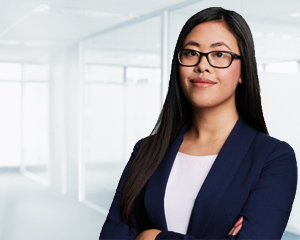 As a member of the accounting team in Canberra, Joy Kulavong specialises in self managed super fund accounting, administration and taxation and assisting clients both in Canberra and Brisbane with the establishment, administration and compliance of their SMSF. On a day-to-day basis, Joy is responsible for managing a team that proactively and efficiently handles the ongoing accounting and administration requirements of her clients’ SMSFs throughout the year. Joy is a direct point of contact for all her clients. She completes clients’ financial statements and tax returns and organises the independent audit at the end of every financial year. Joy places high importance on accuracy and works to ensure all work is of the highest standard. According to Joy, having direct contact with the team that manages your retirement savings is a great comfort for her clients. “They are able to contact us at anytime and are reassured that we are working in their best interests and that their fund is supported by experts when it comes to compliance matters. “Having a combined service with accounting and administration, as well as investment advice is one of the key things that set Dixon Advisory apart.” Joy says. Joy has a Bachelor in Commerce, majoring in Accounting and is currently studying for her Graduate Diploma in Chartered Accounting with the Institute of Chartered Accountants.